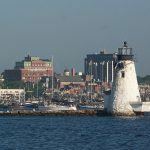 New Bedford will vote next Tuesday on whether or not to approve a casino proposal by KG Urban Enterprises, which wants to compete for the final available casino license in Massachusetts. But before that vote, KG Urban is doing everything it can to make the case that their resort would be good for the city. On Wednesday, the final public forum on the casino issue was held in New Bedford, giving residents a platform to ask questions and express their opinions on the proposed development. Andrew Stern, operating partner in KG Urban, was also on hand at the Normandin Middle School to talk up the casino. According to Stern, the new casino could provide 12,500 or more jobs for the community between construction and operation. That may have come as a surprise to many in attendance, as even the city has been promoting the casino by saying it could create 6,000 or more jobs. The difference came in what Stern called induced jobs: those created at businesses not directly linked to the resort but that would benefit from the creation of the casino. Residents at the meeting had plenty of questions about the potential casino. One, Catherine Adamowicz, lamented the fact that many studies that would provide information about the impact of the resort wouldn’t be available until after the vote. Other residents suggested that the casino could help revitalize the city, saying that right now, there’s really nothing in New Bedford that acts as an attraction to bring in tourists or visitors from nearby towns and cities. While the overall tone of the forum, like the others before it, was reportedly civil, there was at least one heated moment during the Wednesday meeting. According to South Coast Today, Stern and Adamowicz got into a terse exchange over a variety of topics. Adamowicz, a local professor, said that most casinos are dark and lack windows, and that the New Bedford casino would have a similar design, meant to keep patrons inside as long as possible. She also brought up issues about the jobs that could be created at the casino, suggesting they might be low wage jobs or lack benefits. Adamowicz began to reply from her seat, but Stern spoke over her, saying that he was still answering the question. While both Stern and Adamowicz appeared to have taken the incident in stride later, some at the forum took issue with Stern’s tone during the exchange. With less than a week before the city votes on whether to let the resort proposal go forward, there is little indication of which way the winds are blowing in New Bedford. There has been no public polling on the issue, and the committee pushing for a “yes” vote started its operations so late that there have been no financial disclosures to give an indication of how extensive their campaign has been. Still, the lack of questions and the generally civil tone at the public forums would suggest that the “yes” side may have the edge. 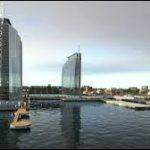 There have been no dramatic protests against the casino, and the developers and city officials have done nothing that seems desperate ahead of the vote. 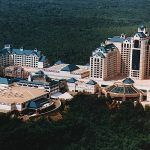 If city voters approve the casino proposal, then it will go head-to-head against a proposed resort in Brockton for the Southeastern Massachusetts casino license. 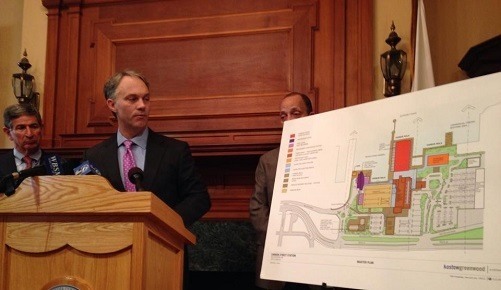 The Massachusetts Gaming Commission would determine which of the two projects, each of which will include about $650 million in development, will receive that license.